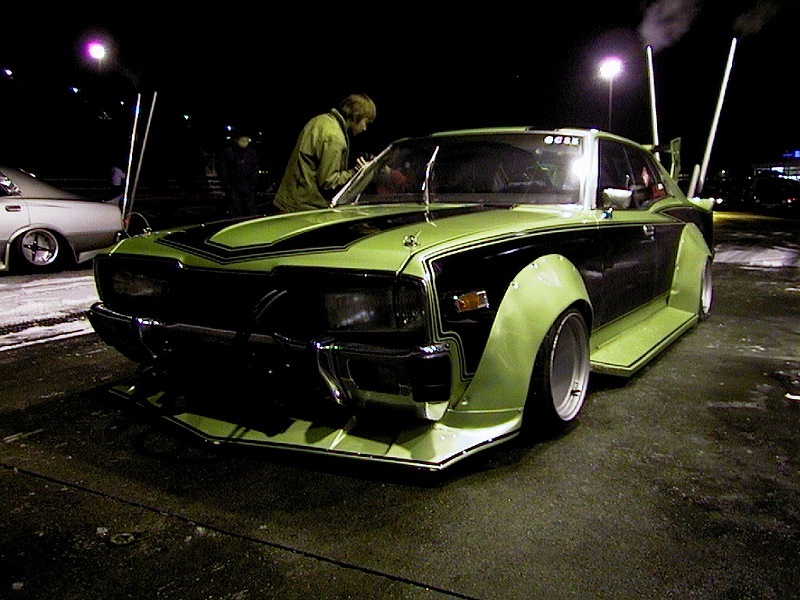 In last week’s Sudden Death the Toyota Mark II GX71 inside out exhaust survived! Last weekend we featured a very nicely exhaust of the week: a bosozoku styled Nissan 180SX! 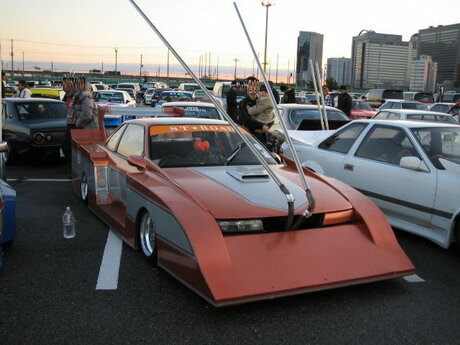 The 180SX is a rare sight on the bosozoku meetings! We only found two examples of a 180SX and we even suspect that it is actually the same car! 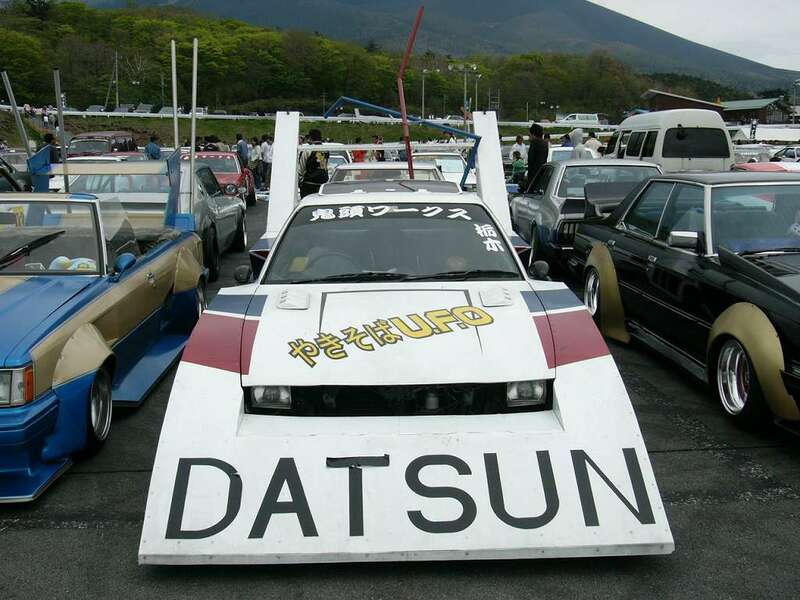 Great mystery is why it is badged Datsun and not Nissan: the 180SX is too new to be badged Datsun abroad and in Japan Nissan never marketed as Datsun! 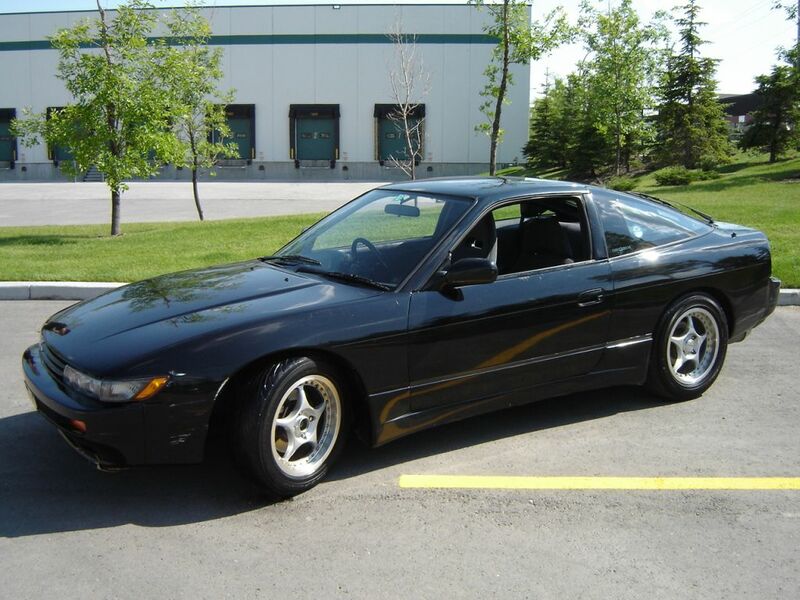 The styling of this 180SX is a grancha version of the 180SX: you can’t even recognize it except by its roofline. 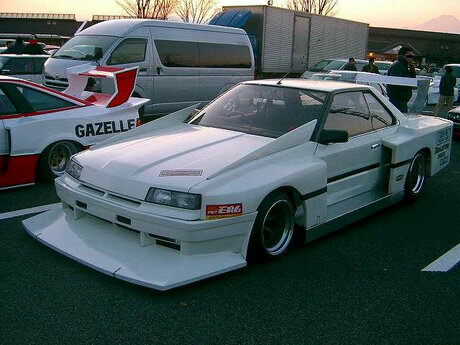 It looks a bit more like a successor of the super silhouette formula Nissan Silvia Turbo S12! When the Nissan S platform got into its fourth generation in March 1989 it created the Nissan 180SX (aka 200SX and 240SX abroad). 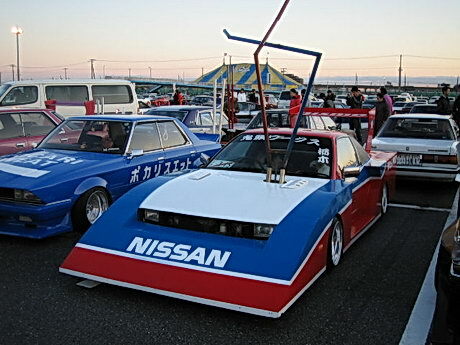 The Nissan 180SX S13 was basically the successor in looks of the Nissan Silvia S12. The Nissan Silvia 180SX was a trim level of the Silvia S110 and the Silvia S12 was already well known in the US as the 200SX (without Silvia badging). 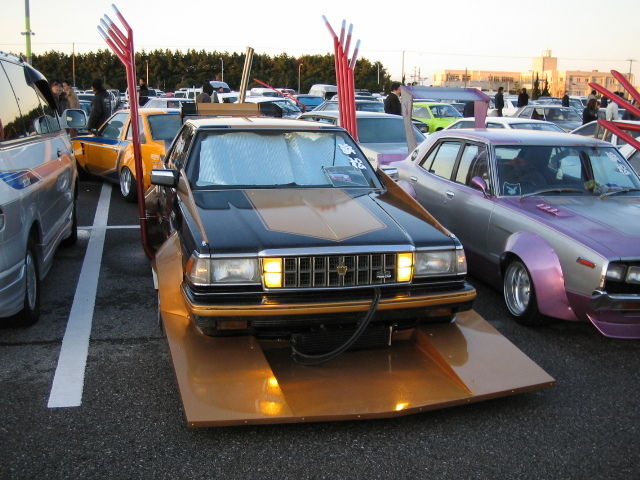 It was quite naturally for Nissan to name the car with the SX badge when they decided to split up the Nissan S platform into two seperate models. 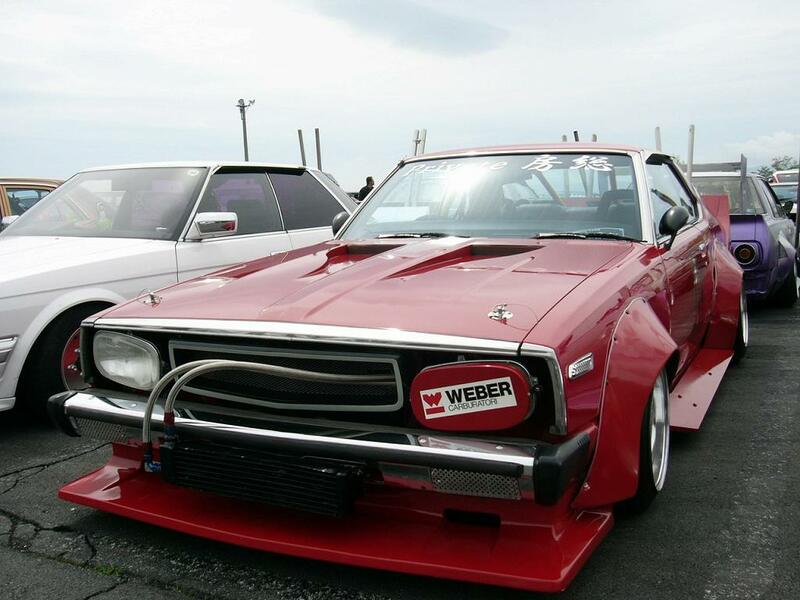 This created the Nissan Silvia S13 and the Nissan 180SX S13. 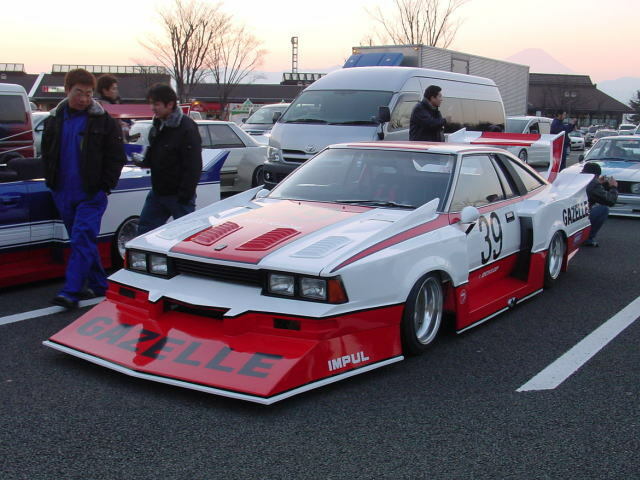 In Japan the Silvia got a coupe bodytype with fixed headlights while the 180SX got a fastback (aka hatchback) bodytype with popup lights. It didn’t take long before the first combinations of those two started to appear in the streets: street racers who wrecked their 180SX frontends mated that with the lighter and cheaper Silvia frontend and created the Sileighty (aka Sil80) this way. The other way around wasn’t popular since it was heavier and required changes in the wiring. 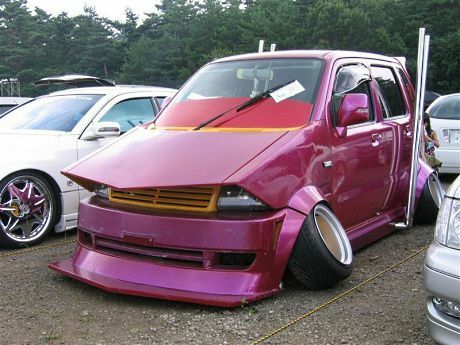 When Nissan spotted these conversions they decided to have an “official” Sileigthy as well. They had them produced by Kids Heart and sold some of those cars through the official Nissan dealer network. Also different combinations exist: S13.4 (S13 mated with Silvia S14 frontend) and S13.5 (S13 mated with Silvia S15 frontend, aka strawberry face) since the S platform remained the same. 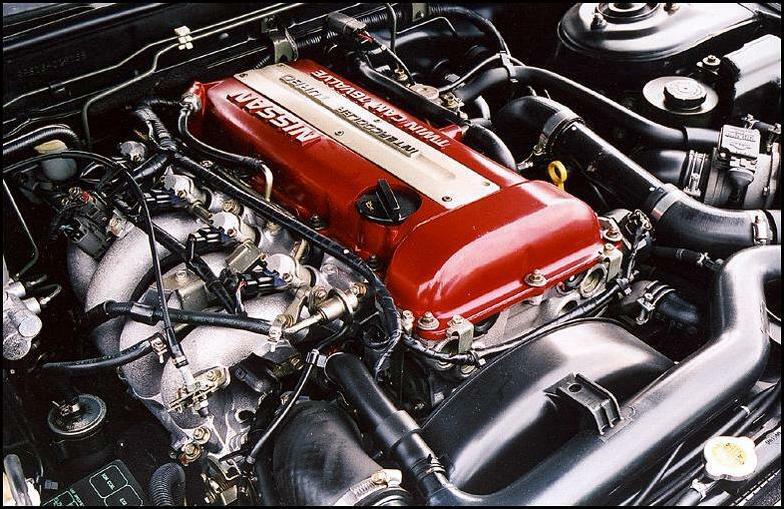 The 180SX initially got a 1.8 liter CA18DET, hence the 180SX designation, but in 1991 it got upgraded with the SR20DET engine and later on in 1996 with the SR20DE engine. It remained badged as the 180SX and not as the 200SX. Funny enough the 180SX was badged as the 200SX in Europe with the CA18DET engine and never got the SR20DET engine. In the US it was badged as the 240SX since it was powered by the KA24E and KA24DE engine: Nissan thought the US needed displacement instead of smaller turbo engines. 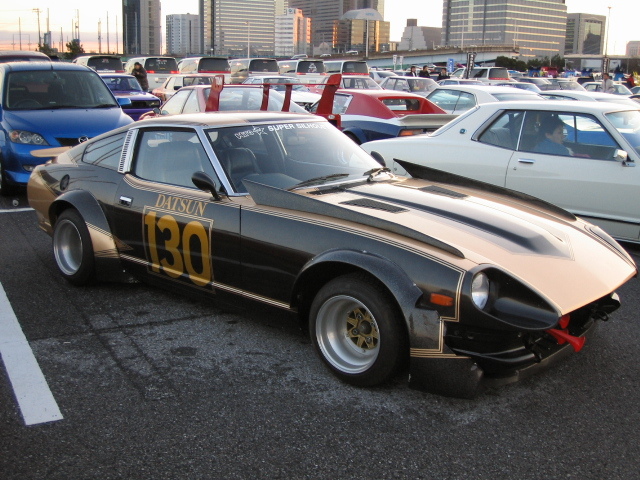 At first the 180SX was available as two versions: the Type I and Type II. 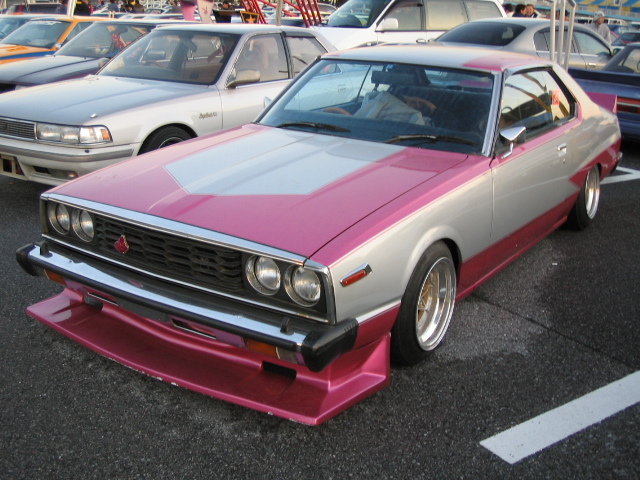 The Type I was targeted for performance while the Type II was targeted for luxury. After the first facelift in 1991 the 180SX Type I got the SR20DET engine and got bigger brakes and a limited slip differential factory installed to handle the car better after this power increase. The Type II got the four wheel steering system HICAS II which got improved after the first facelift with the Super HICAS. After the second facelift in 1992 the Type III became available which was even more luxurious than the Type II: it got climate control and a cd player factory installed. After the third facelift in 1994 the Type I and Type II trim levels were renamed to Type R and Type X and the fourth facelift in 1995 only added a driverside airbag. The final facelift in 1996 had a lot of visual changes and added the cheaper Type S trim which offered the non turbocharged SR20DE and lacked the four wheel steering system. 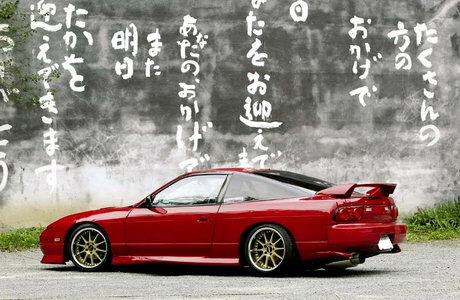 Production of the 180SX finally ceased in December 1998. 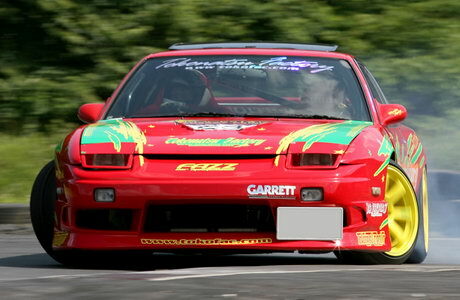 The 180SX still remains very popular nowadays: it is a cheap mass produced rear wheel drive sportscar. Both its engine types have big potentials: both CA18DET and SR20DET can easily be tuned over 300HP and figures end somewhere between 500 and 700HP! Since the platform itself remained roughly the same almost all suspension upgrades for the newer S15 can be used on the S13 as well. Most people use the 180SX for drifting nowadays and it is often seen at MSC drift events! In case you are wondering about the S13 designations you see at your average drift coverage: R stands for fastback/hatchback, P stands for SR20DE(T) and K for HICAS II/Super HICAS. That last designation will most probably be disabled on that car I guess… But of the time you will see either RPS13 (180SX with SR20), or RS13 (180SX with CA18), PS13 (Silvia with SR20) or plain S13 (Silvia). 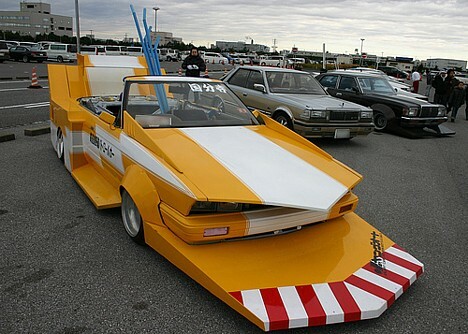 I can imagine why the 180SX never got to be a popular bosozoku style car: it is too new to be popular in the 90s, it is too flashy and it is too modern styled. 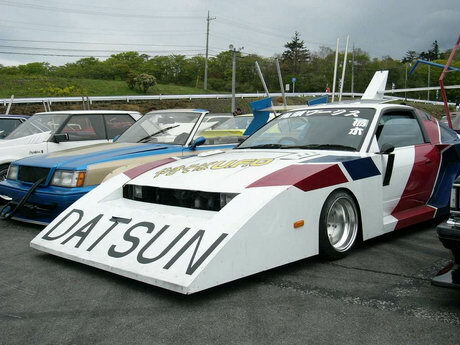 The examples above don’t leave much detail of the 180SX to be seen, so can we actually account them for a bosozoku styled 180SX?